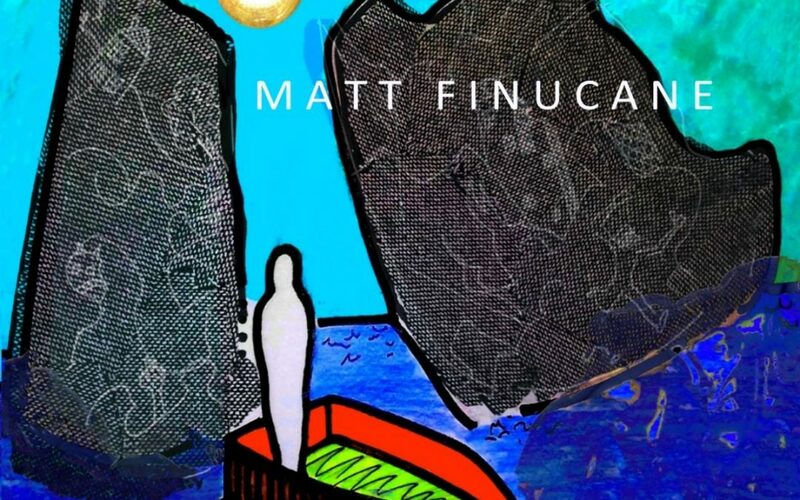 UK composer and musician Matt FINUCANE have been an active recording and performing musician for around a decade, with a good handful of EPs and singles as well as three albums to his name so far. “Vanishing Island” is his most recent full length album, and is set for an early May 2019 release directly from the artist. I have to admit that I was a tad surprised about this album, as Finucane’s latest EP didn’t impress me overly much, and struck me as very much a niche production aimed at a finite crowd. While that can be said also about this album, I do find that the material presented this time around is better developed, recorded and produced, as well as being more sophisticated. All of which are good things in my book. The recurring element throughout this album are psychedelic textures. By way of light toned, reverberating and echoing guitars first and foremost, but also by way of occasional keyboard details and, perhaps most importantly, vocal style. These elements adds a vintage psychedelic spirit to this album. The intriguing aspect, and perhaps the divisive one as well, is what is built upon this foundation. In general terms, my impression is that quite a few of these songs aims to blend post-punk with vintage psychedelic rock. The bass guitar and the darker toned electric guitar that is prominent throughout adds a distinct post-punk presence to this material, at least as I experience it. A suitable contrast in styles as well as tonality that makes this creations work in terms of tension as well as movement, even if a tad chaotic at times. On the occasions where the post-punk elements aren’t all that present, what strikes me as noise rock details or garage rock inspired features does a fine job in providing the contrasting element, and Finucane does allow himself to go full out vintage psychedelic on a token occasion as well. Another charming touch to this album is Finucane’s voice. While he often opts for a psychedelic rock oriented mode of delivery, on occasion his Bowie like timbres are given room to shine as well, and he does have a voice that I suspect could quite easily adapt into becoming quite so similar to David Bowie if he so desire. “Vanishing Island” is a somewhat odd and eerie production, with a touch of kraut to the psychedelia and a whiff of garage rock to what strikes me as the post-punk oriented motifs that contrast the psychedelic touches. Not the kind of music I will ever expect to see mentioned as mainstream oriented, but for the right audience and those looking for something special and peculiar this is an album worth investigating.